They were very easy to make! Preheat oven to 425. 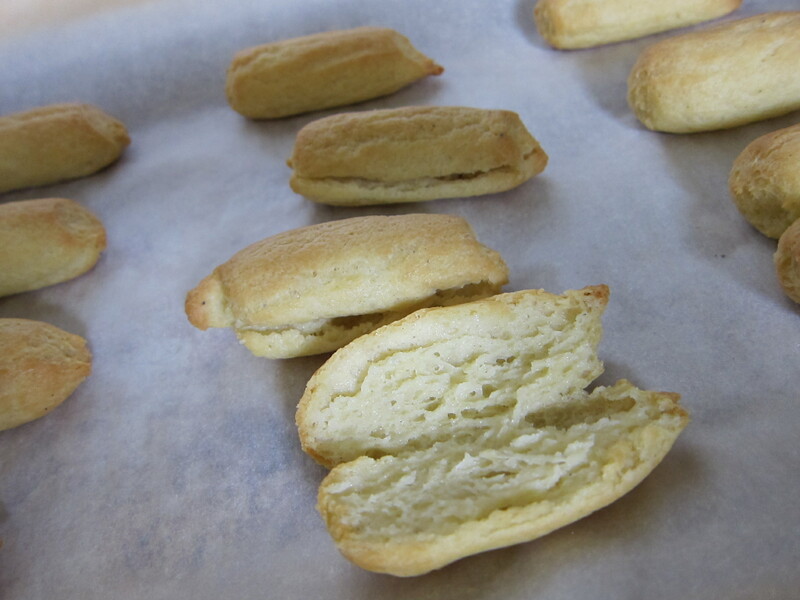 Then you need to make your Pate a Choux. 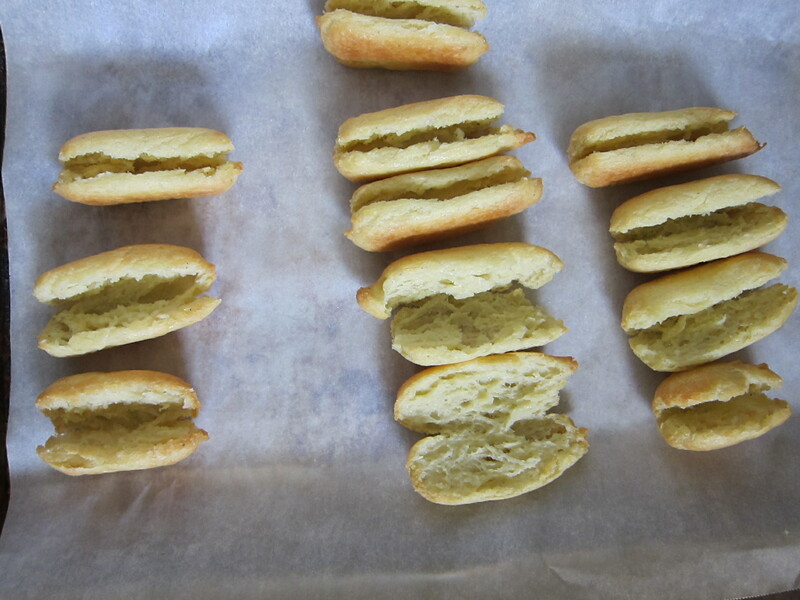 Pate a Choux is a very light pastry dough used in many delicious french pastries. A chef by the name of Panterelli invented the dough in 1540. Make your dough. Prepare cookie sheets with parchment paper and pipe on desired size dough. Place in oven for 10 minutes. Then lower the heat to 350 and bake for 25-30 more minutes until the edges of the dough are golden. 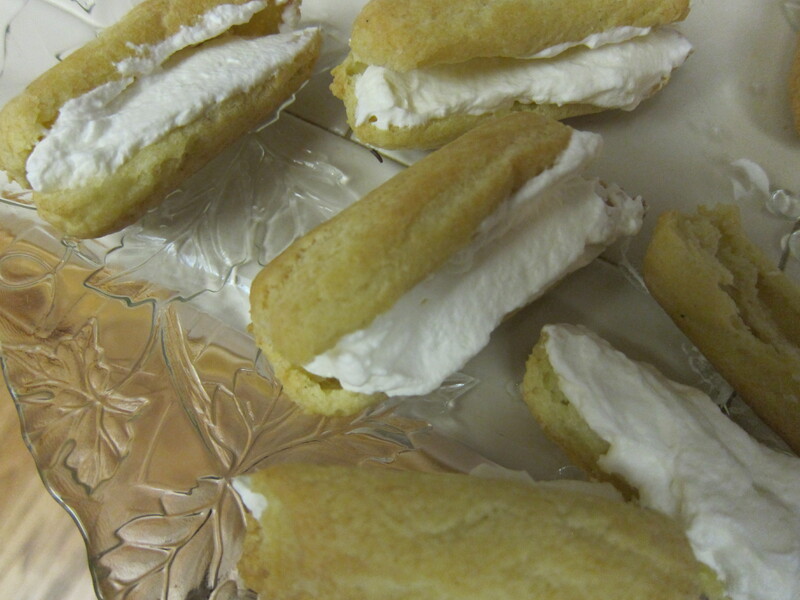 Slice the eclaires open to let out steam. 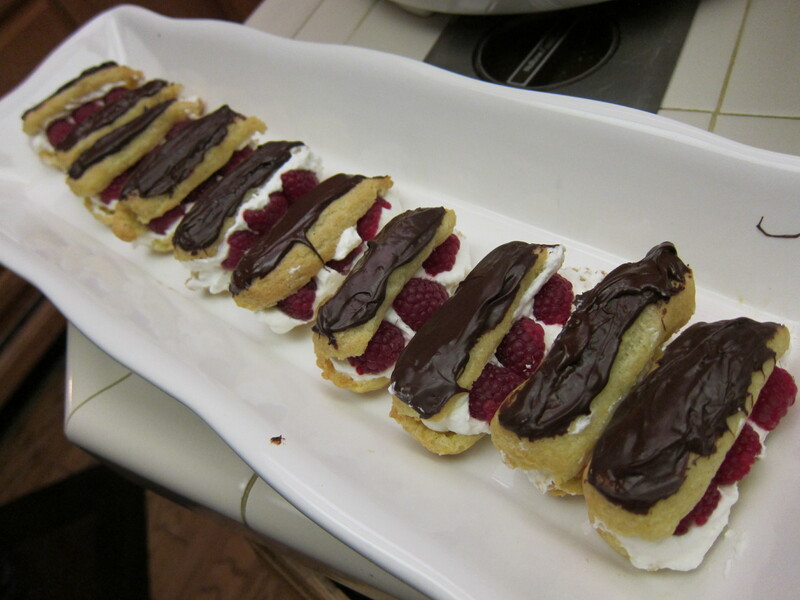 Normally, eclaires have pastry cream in them, but I thought, since there were so many desserts that evening, I would fill it with whipped cream. 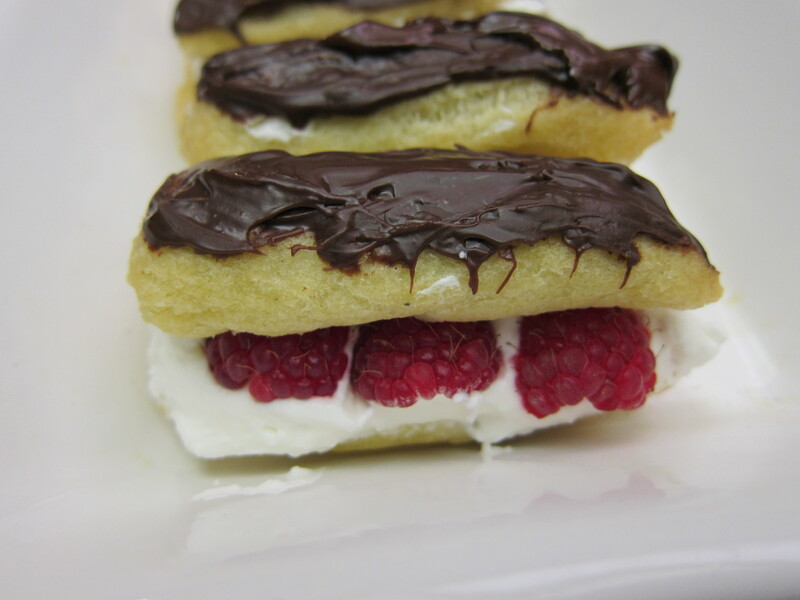 It gave the eclaires a much lighter taste. Make your whipped cream. 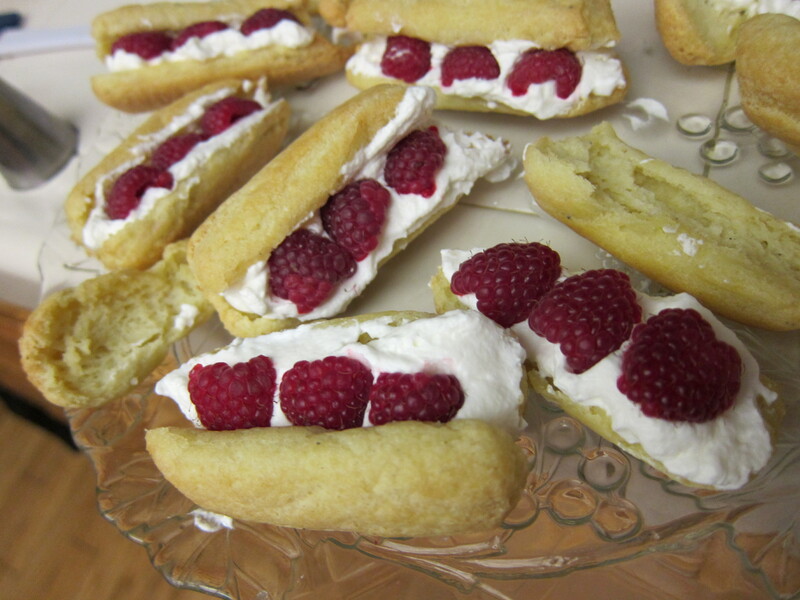 Fill the eclaires with the cream. 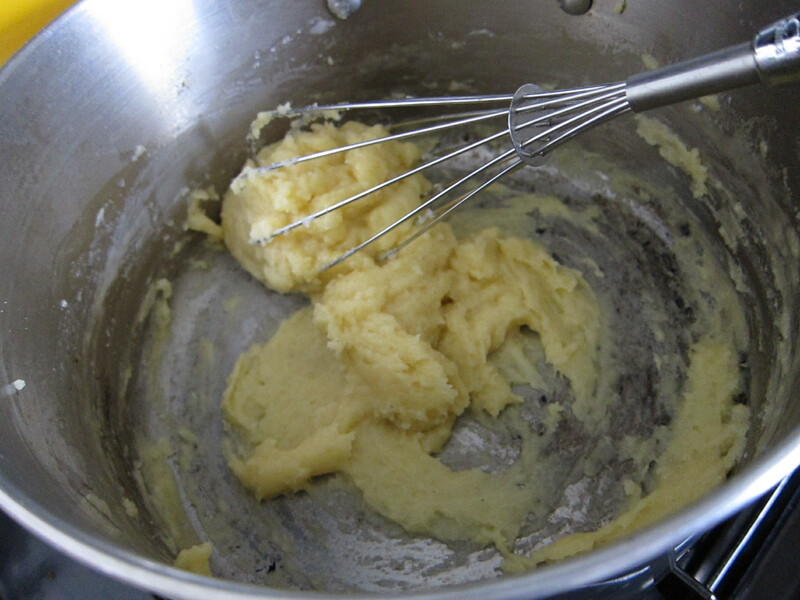 Combine 1 cup water, butter, sugar, and salt in a medium saucepan over medium-high heat. Bring to a boil, and immediately remove from heat. Stir in flour. When flour is combined, return to heat. This mixture is called a panade. Dry the panade by stirring constantly for 4 minutes. It is dry when it pulls away from the sides and a film forms on the bottom of the pan. Transfer to the bowl of an electric mixer fitted with the paddle attachment, and mix on low speed, until slightly cooled, about 2 minutes. Add eggs, one at a time, on medium speed, letting each one incorporate completely before adding the next. Add final egg a little at a time until the batter is smooth and shiny. 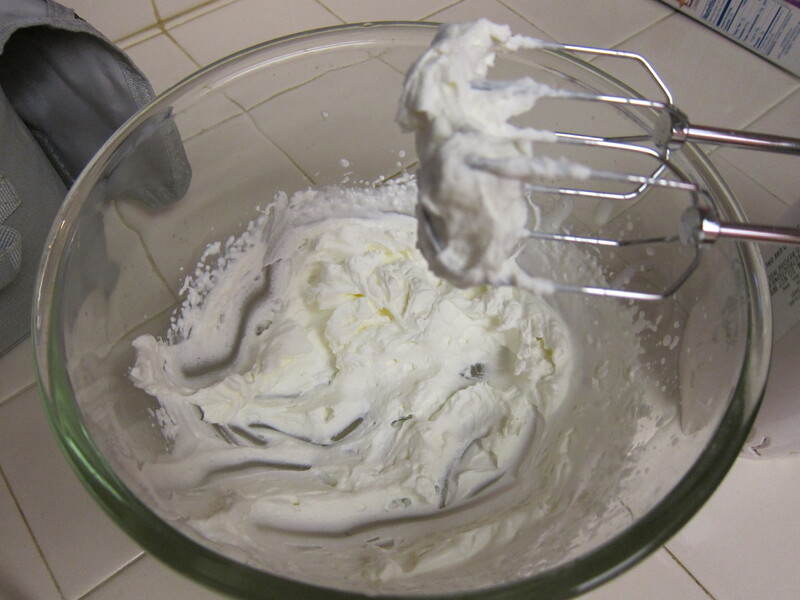 Beat ingredients together until whipped cream comes to your desired consistency. Preheat oven to 425 degrees.with a rack in the center. Line two unrimmed baking sheets with parchment paper or Silpats (French nonstick baking mats). 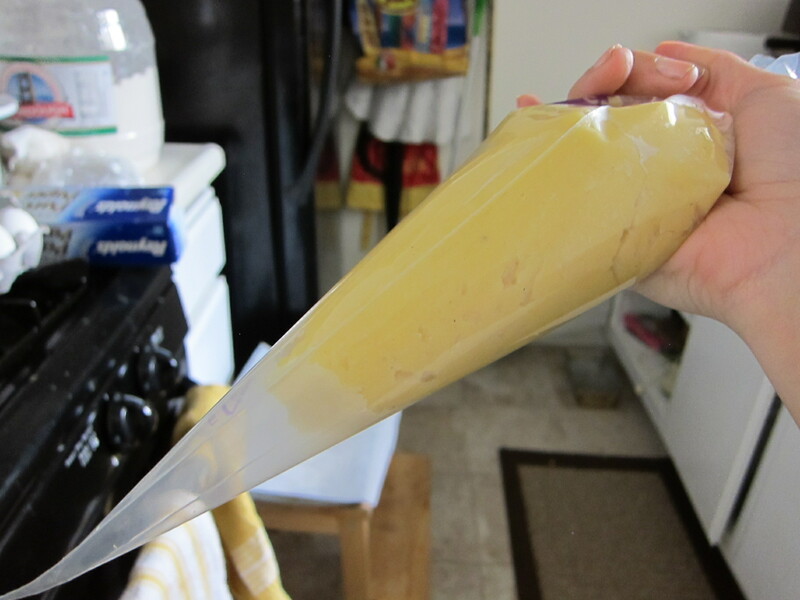 Fill a pastry bag fitted with a 1/2-inch (Ateco No. 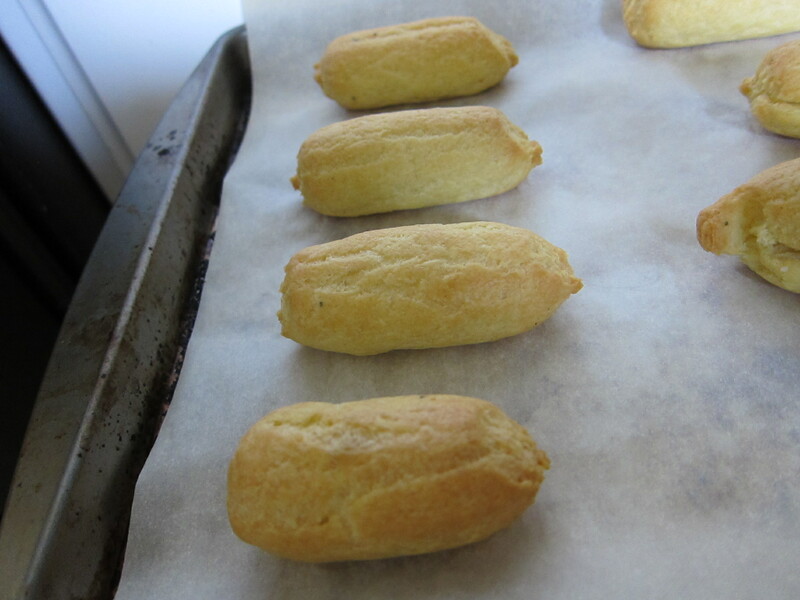 806) tip with pate a choux batter; pipe out oblong shapes, about 3 1/2 inches long and 1 inch wide, onto prepared baking sheets at 2-inch intervals. Gently run a fork dipped in water along each top, making straight lines to ensure even rising. 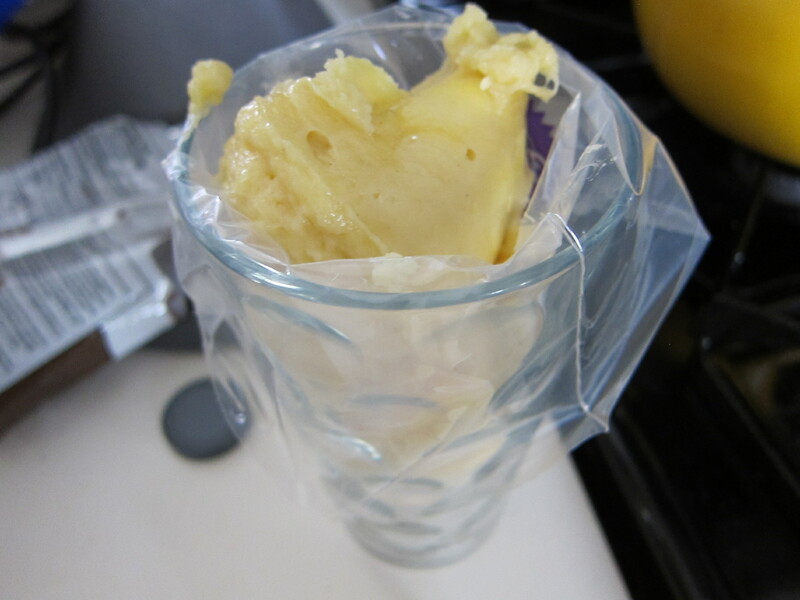 Cover one baking sheet with lightly oiled plastic wrap, and place in refrigerator. Transfer the second sheet to the oven. Bake 10 minutes; reduce oven temperature to 350 degrees. Bake until golden brown, 25 to 30 minutes more. Turn off oven; prop door open slightly to let steam escape. 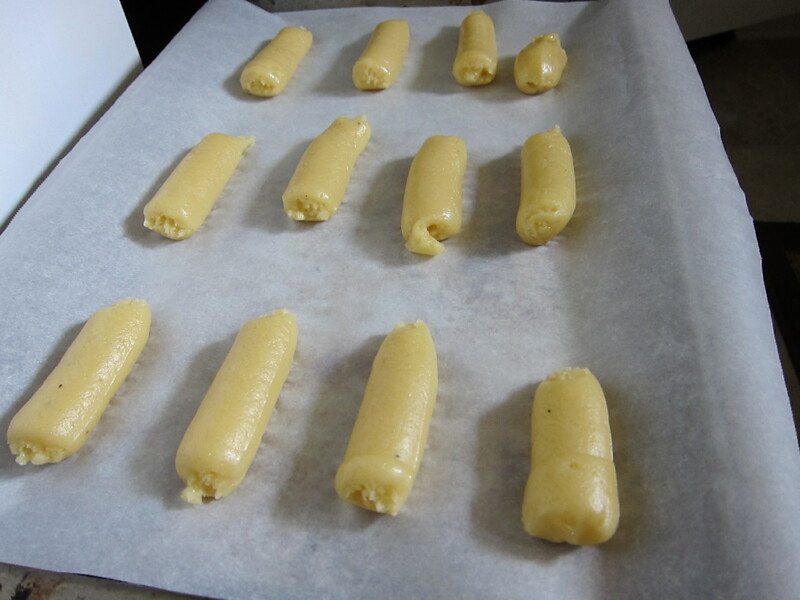 Allow eclairs to dry in oven until centers are damp but no wet dough remain.